So, you’ve been traveling a little around China. You’ve made a few local friends and perhaps even found a language partner. Now you want to know how to score a few dates, and eventually find a nice Chinese girlfriend or boyfriend. It’s the natural next step, right? If you’re coming from the Western world, where pick up lines abound and people are actually receptive to them—at least, to a certain extent—you’ll need to adjust your game for breaking the ice and flirting in Mandarin Chinese. 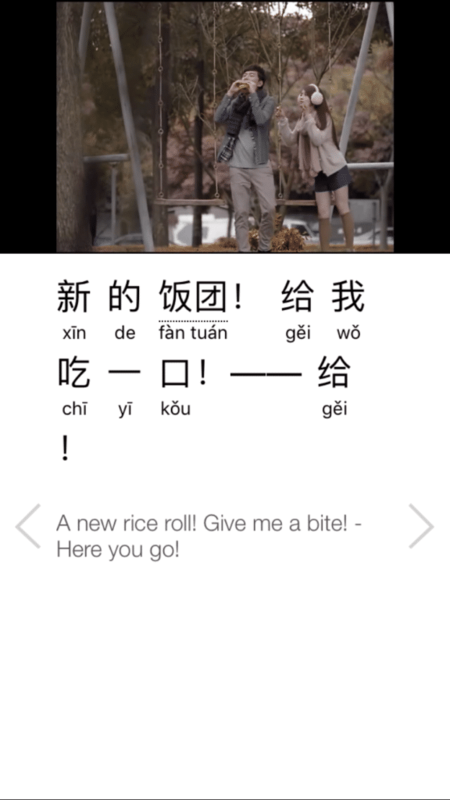 Do Pick Up Lines Exist in Mandarin Chinese? Pick up lines are very much a Western phenomenon, and as such, they’re extremely uncommon in China. In general, what we think of as “pick up lines” are probably best avoided—even the wittiest examples. I know, it’s a darn shame, but native Chinese speakers are simply not used to using or hearing this kind of language, and they usually won’t understand what you’re trying to get at. Most male-female relationships in China are founded on plain, simple and polite introductions, and most Chinese guys are so painfully shy that randomly approaching a girl is completely out of the question. Fortunately, these restrictions don’t entirely apply to foreigners, who as outsiders are able to flout the rules of social behavior to a certain degree. Lines like these will likely just go straight over the heads of native Chinese speakers. Awkwardness will ensue. So, I’m going to do you a massive favor and steer you clear of this type of “pick up line.” Instead, I’ll show you how to strike up a casual, flirtatious conversation with anyone who strikes your eye—in a more natural, indirect Chinese way. This will kill two birds with one stone. It will confirm in your speaking partner’s mind that this is going to be a Chinese conversation and, if you’re a man approaching a woman, it will also take advantage of the stereotype that all Western men behave like gentlemen. But you can speak Chinese? My Chinese level is not that high but I will try. 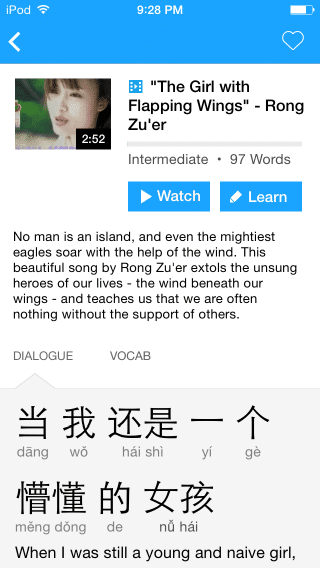 Great, but today I want to practice my Chinese. This is about as complicated as pick up lines get in China. Now that you have her attention, you can talk about anything you like. What you actually say is of very little importance as long as you maintain your confidence and are showing a sufficiently male intent. Are you on your way to work? Chinese girls are generally quite shy and are usually only used to being approached in the street by high-pressure salesmen or overly-aggressive beggars. This means that you won’t be able to expect much of a response from her beyond a few simple “yes” or “no” answers. This also means that you’ll have to do all the talking, at least for the first few minutes. What’s most important, as you continue chatting away, is to let her know that this isn’t some random encounter. So, you must show her very clearly that you’re interested in her. Do this by maintaining strong eye contact, smiling and maybe even touching her casually on the arm or shoulder, in the same way that you would any close friend. Accompany me for a cup of coffee! Unfortunately, approaching a girl for the very first time is always a nerve-wracking experience. I know skydivers who will happily jump out of planes at 30,000 feet, but who instantly turn into jelly if they have to go up and introduce themselves to an attractive girl. Sometimes it helps to have an excuse. How do I read this character? The problem is that most girls have a very well-developed sixth sense, and will immediately be able to see through your ploy. Luckily for you, the actual words that you say are nowhere near as important as the attitude that you project when you initially approach. Many women will tell you that confidence is what they find most attractive in a man, more so than his good looks or his spontaneous wit—and luckily, this confidence knows no language barriers. My personal favorite opener is to ask about her smartphone, as nearly all Chinese girls are complete 手机控 (shǒu jī kònɡ – phone addicts) these days. Is that an Apple phone? You don’t support Chinese products? I am going to tell Xi Jingping, he will come and scold you. A little gentle teasing like this always makes them smile. Just one cautionary note on the Xi Jingping joke—it’s hit or miss, as it’s quite political and not all Chinese girls will appreciate hearing this come from a complete stranger. Would you like to go for a romantic bike ride together? I would rather cry in a BMW than smile on a bicycle. If you get this answer, then my advice is to say goodbye and run as fast as you can in the opposite direction. Or maybe she’s just teasing you by recognizing the reference—you can always stick around and chat a little more to see what she’s really thinking. 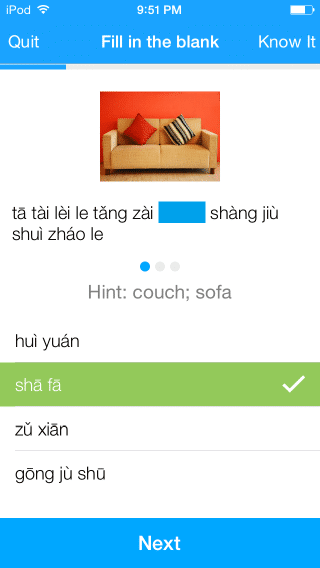 If you’re interested in going beyond the potential horror and humiliation of pickup lines and diving full into real-life Chinese conversation, FluentU can help.